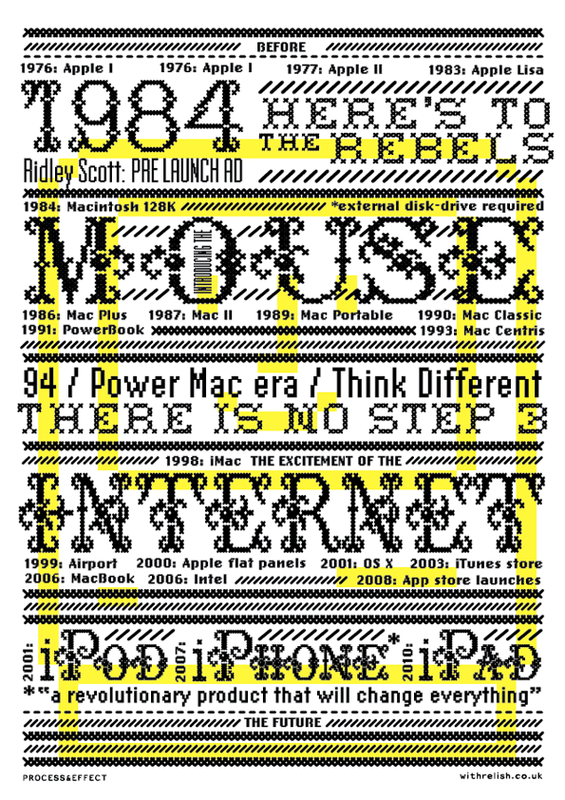 Three years ago I created this poster for a live printing event at Pick Me Up, my tribute to the Apple Mac which has been the backdrop to my career and my life. 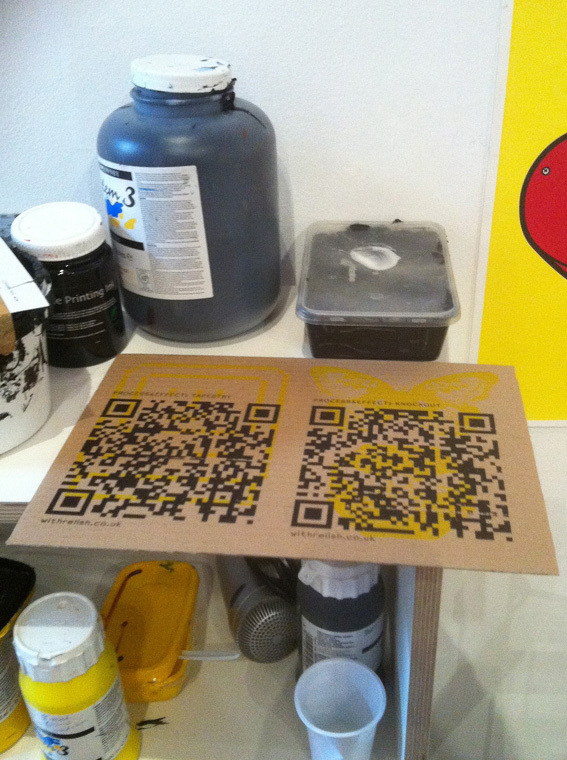 This is a combination of blog posts from the time documenting the development of the design and screen printing process. Process & Effect series: It’s the training, the practice, your tenacity and vision… that give you the skills you need to succeed. And to do it with flair. As a graphic designer Apple products have not only played both an important part throughout my career, they’ve also been woven into my everyday life. The products have empowered me to learn, hone, perfect my skills and to share what I do with others. We’re all very aware of recent innovations which have shaped the way we receive information and communicate. 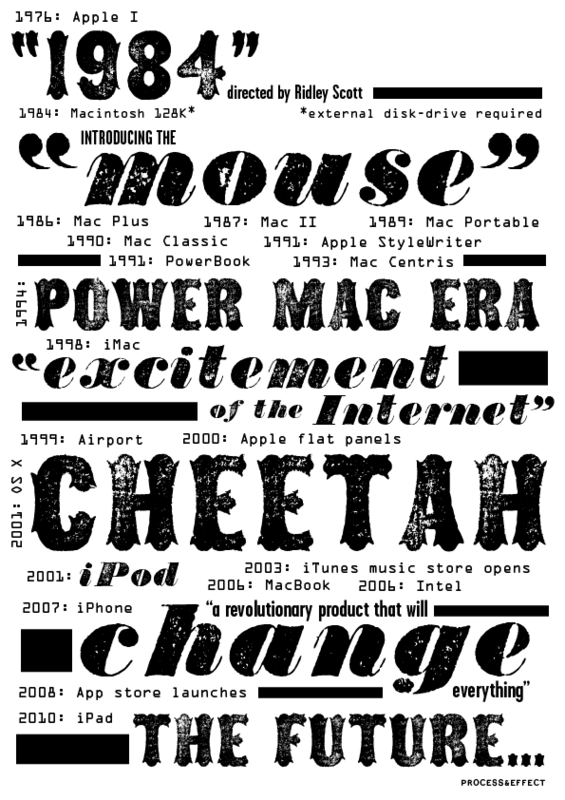 But Apple had vision from the outset, from the pre-launch ad for the first Macintosh which was directed by Ridley Scott, through giving us the mouse and realistic desktop, access to fonts, and now the iPad that has lit a fuse that will change our future. 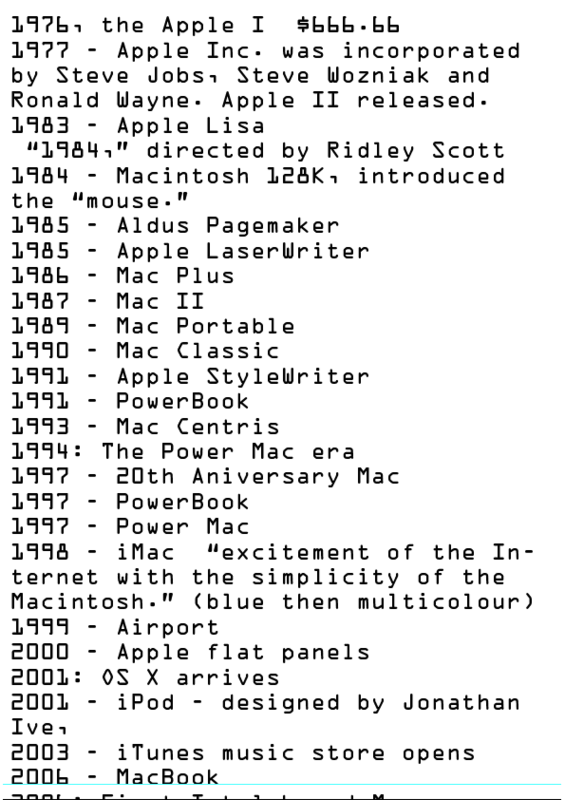 The timeline of Apple innovations in stitching-influenced type combined with bitmap type taken from the early Apple desktop. Both typefaces are grid-based and sit together well. 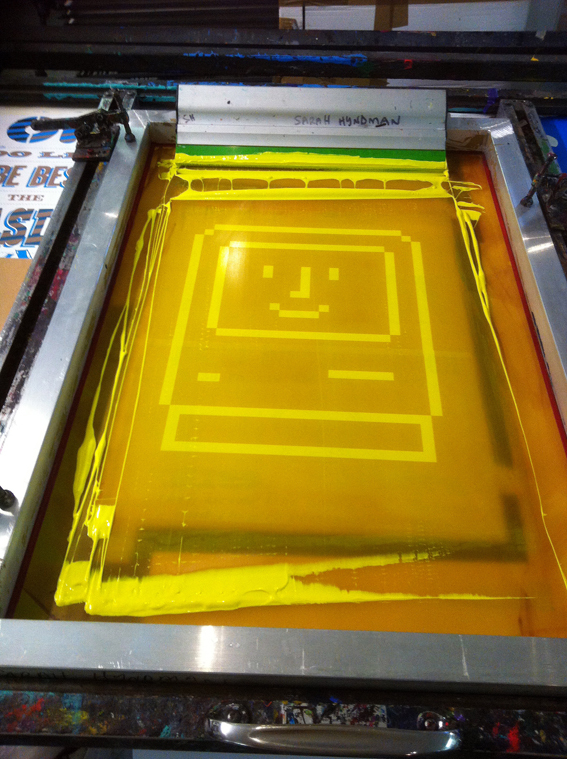 A large happy Mac is to be overprinted in yellow and the final screen print will be embossed and signed. 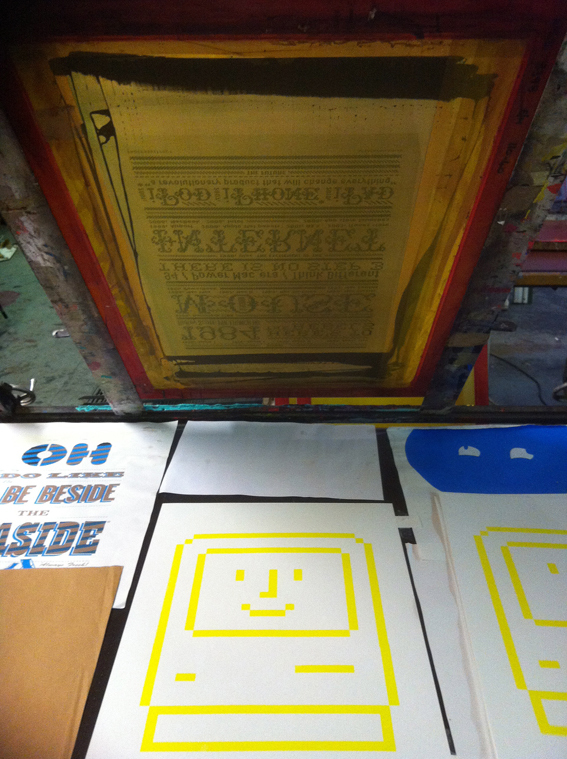 It’s a productive day of live screen printing at Pick Me Up at Somerset House. 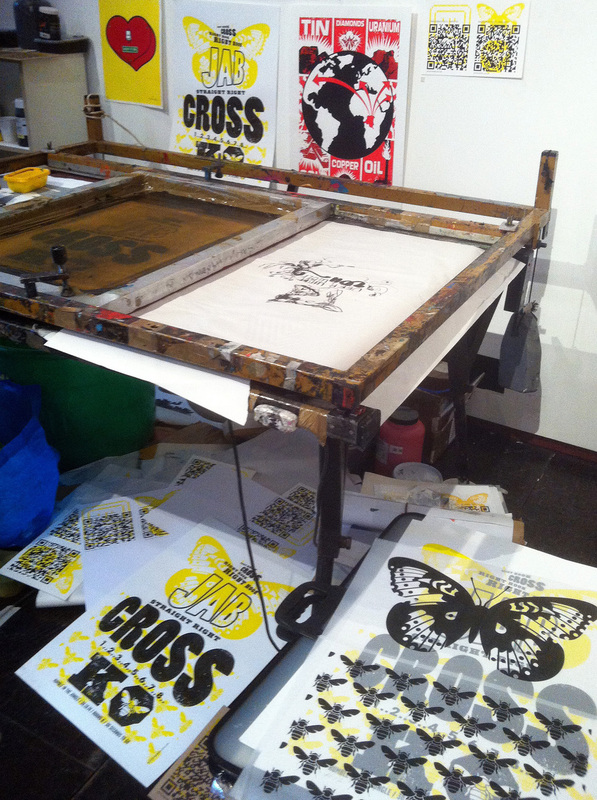 Here are the first designs of the Process & Effect series: Rumble in the jungle, printed and drying. 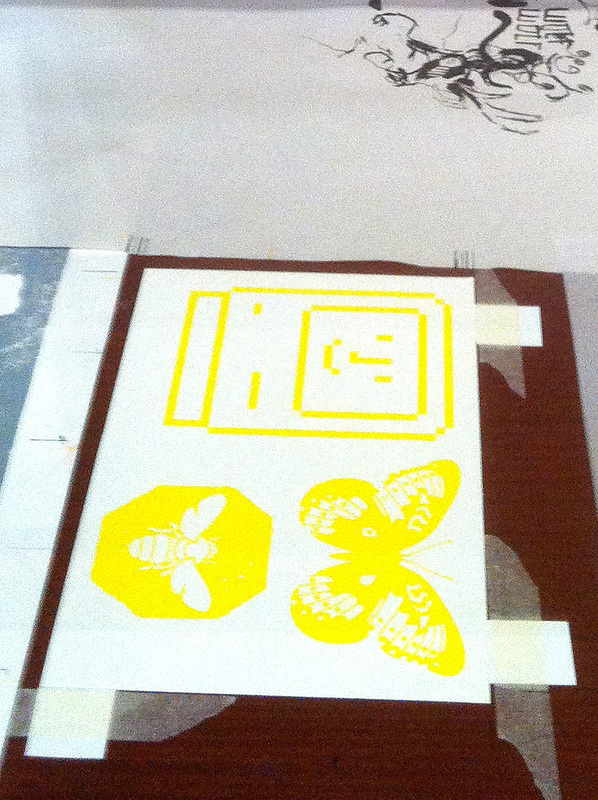 They’re two colour screen prints on A2 art card, each will be embossed, numbered and signed. 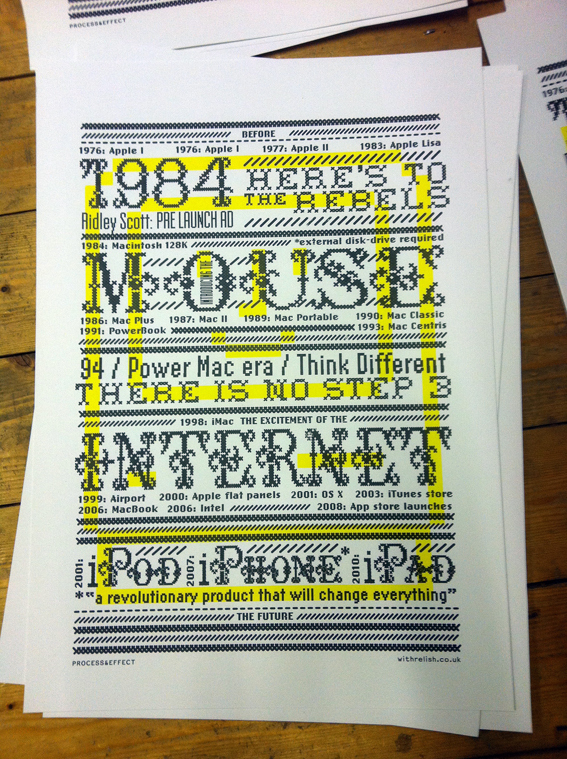 Next up are the Apple posters, my ‘love letter’ to Steve Jobs and the inventions that have changed our lives. Time for a few experiments before printing the final thing. The room at Somerset House is pretty hot and we don’t have all our usual equipment so I’m prepared for my the ink to dry into the screen quicker than usual. 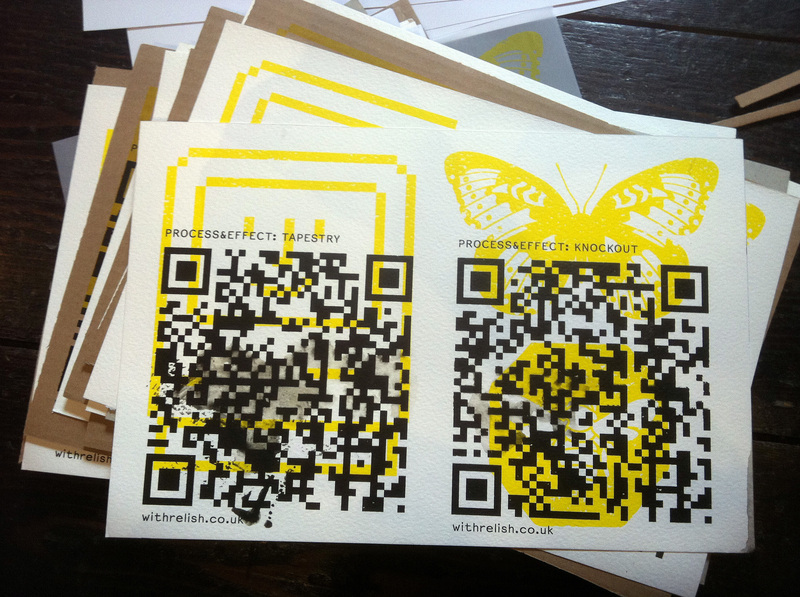 I’ve chosen to play with screen printing ‘teaser’ cards with QR codes on crappy paper and corrugated card–I like the contrast of high tech codes in low fi materials. These prompt plenty of discussion and demonstrations from me. Even the smudged one where it stuck to the screen works with the reader app.